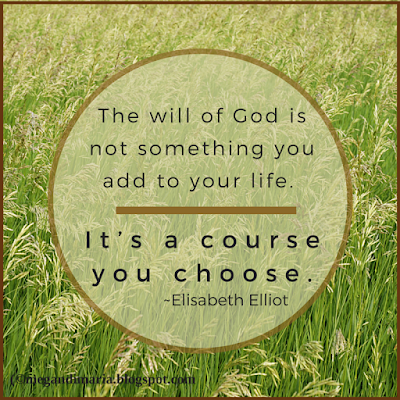 Offering hope and encouragement for life, writing, and living a thoughtful life. Have you been writing your novel for a long while? Are you hanging in there? When writing one of my (completed) novels, I had the luxury to take my time. Write, rewrite, revise. I knew I'd keep going with it and that I would give myself time. After all, it was a genre change, and I wanted to get it right. My efforts could be attributed to sheer stubbornness combined with a small flicker of hope—but I knew I would persevere. I believe it’s a good story. I think the (internal) journey my character takes will speak to someone who has the same doubts and questions. My novels revolve around family. I believe in the beauty of family and the value of a loving unit. I love writing about families united and strengthened. I made a determination to silence the internal critics that shout, “No one will want to read this! You’re wasting your time!” I recommend you do that too. And once you do silence them, you’ll be able to hear that still, small voice telling you, “Push forward, my child. 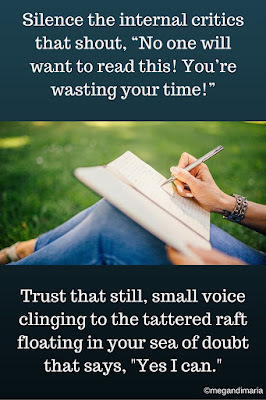 Keep writing.” Trust me, it’s true. 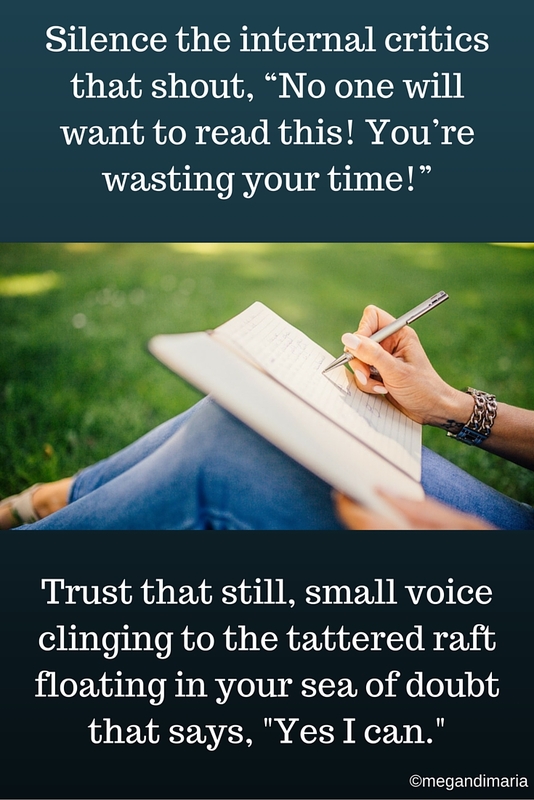 Trust that still, small voice that is clinging to the tattered raft floating in your sea of doubt. Hang on! Believe me, more than one successful author has taken years to write a novel. Check out this list. I’m sure you’ve heard of these writers. So, I’ll keep on revising my novel. This, I believe will be my final pass before I declare it ready to be shopped around. I’ve been writing and pondering this novel for years. First, I gave myself plenty of time to play around with learning a new genre. Then I wrote and rewrote. Now I’m revising and refining. If I could hang in there, so can you. Write on! Life is hard. Schedules get tangled in the pressures and tasks we face each day.It feels like we have more tasks than there are hours in the day. 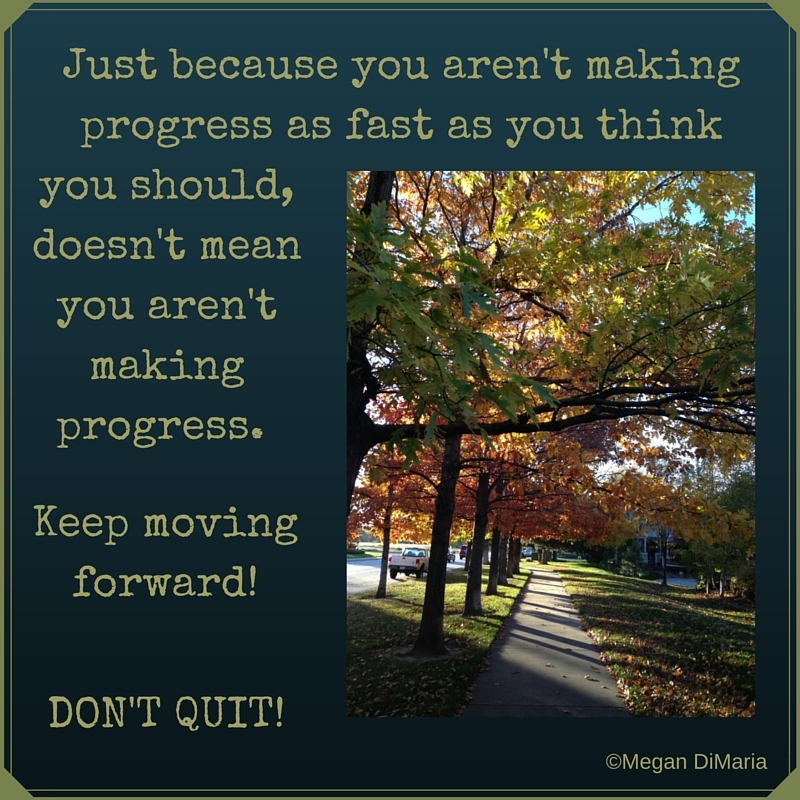 Sometimes it feels like you've stumbled and you're not getting any traction moving toward to your goals. Know what you should do? 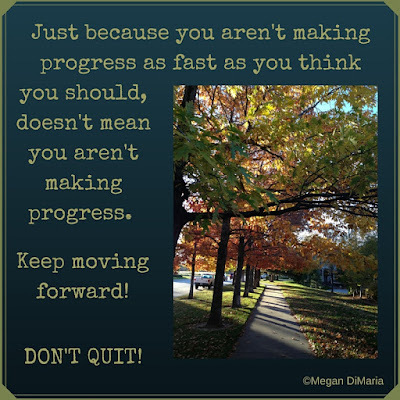 Get back on track, forgive yourself for your lack of enthusiasm, and move forward! Writers tend to grind away, pursuing their passion, but occasionally the well of our creativity becomes parched. We come to a point of creative fatigue. Don’t fear—it’s not permanent. 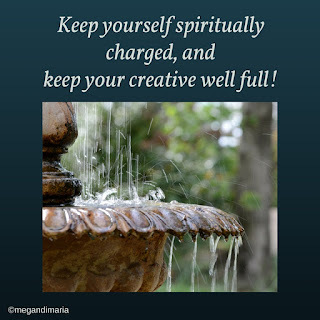 When we feel discouraged and wrung out, there are methods to refreshing your creative spirit. According to Dictionary.com, creativity is the ability to transcend traditional ideas, rules and patterns, and to create meaningful new ideas, forms, methods, and interpretations. Sounds exciting, doesn’t it? Sometimes we just need to recognize the need to disengage from the grind and embrace the necessity to refresh our creative souls. God is the ultimate Creator, and He fashioned us in His image. When I look at it that way, my creativity is seen as an extension of my relationship with God and a component of my personality. I’m creative because God created me that way. Our world is full of ideas; we just need to train ourselves to find them. Journal spiritual thoughts about your writing life, story idea, etc. Write a prayer. 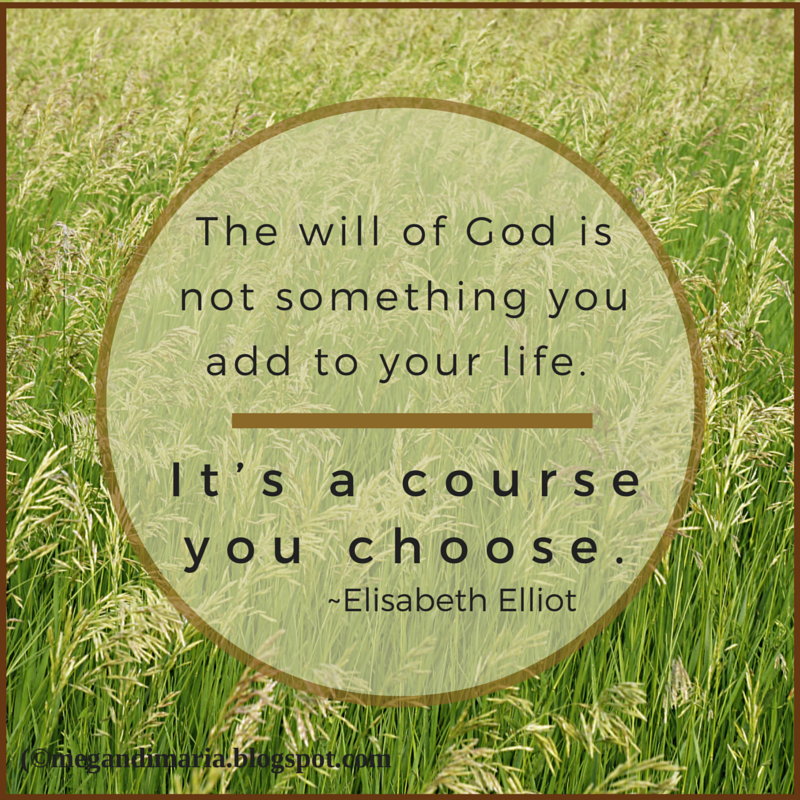 Ask the Lord for His anointing on your writing and your writing journey. Ask for clarity of thought, passion, commitment, and the time to pursue your writing goals. A journal may include memories, jokes, story ideas, writing tricks, dreams, and descriptions of people, places or situations. A writer’s journal may be as simple as a little notebook you carry in your purse or it could be a word document on your computer. Train yourself to be alert for fresh ideas when they occur, and write them down. Go for a walk, hop on a treadmill—just get moving. Your imagination won’t work a maximum capacity if your brain is sluggish. Sometimes reading great writing gives you the itch to write yourself. 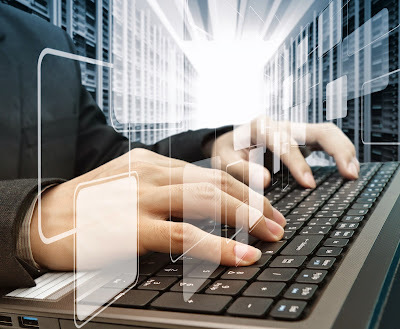 Give yourself a time limit (10-15 minutes) and let your fingers fly over the keyboard. Even if you’re writing crazy nonsense, you may spark a thought or idea that will springboard you back to work. Visit a museum, listen to soul-stirring music, go to the movies. Spending time in other creative environments, spurs the desire to be creative in your own work. Grab your camera and take a field trip to a local park, busy shopping area, or town square. Let yourself focus on whatever catches your fancy. You may look back at your images and see a spark of an idea in a situation, location or face of people being alone or interacting with each other. *Just don’t appear to be a stalker. I once had a very productive writing session while waiting for my car at the mechanic’s. Not every solution may be the one for you, so pick and choose to see what refreshes your creativity and fires your productivity. I was a hot mess, and folks seemed to like it. 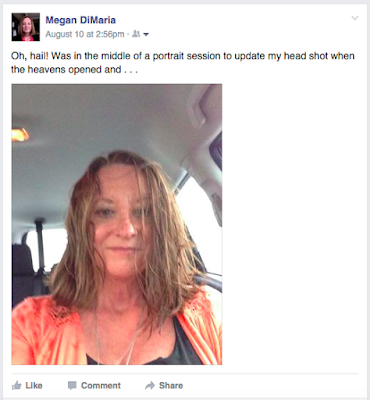 my head shot when the heavens opened and . . .
News flash: What you see on personal blogs and social media IS NOT real life—it’s the highlight reel someone wants you to see. I've always been a fairly personal person, but as I mature, I’ve learned it’s okay to like yourself, and it’s okay to let people see the real you, not just the reel you. Life isn’t always pretty, easy, or neat. Last week, I put a post on social media showing the results of running through hail and rain after a portrait session was cut short due to weather. I was a hot mess, truly. In the process of sharing my post I had more interaction than usual. Not only did many people like my dilemma, many commented. I had spent a good amount of time selecting my wardrobe, styling my hair, and putting on my makeup only to have the outcome be a big waste of time and a bigger disappointment. I've been thinking about the response to my post, and I realized people like to see other people show vulnerability. It's not that they want to feel superior to someone's misfortune, but rather they enjoy being able to relate to someone's less-than-perfect moments. One of today's leading experts on vulnerability, Brené Brown, defines vulnerability as ". . . being honest with how we feel, about our fears, about what we need, and, asking for what we need." And furthermore, she says, "Vulnerability is a glue that holds intimate relationships together." Being vulnerable means you accept yourself, totally: your quirks, eccentricities, fears, etc. That's incredibility freeing. The type of honesty that goes hand in hand with being vulnerable attracts people to you. You have to give up the myth that you're perfect when you choose to be vulnerable. That realization allows you to step into your true self, discarding masks that you've hidden behind. Vulnerability takes courage. It's not a sign of weakness, but one of strength. Vulnerability helps to create and sustain intimate relationships. Step out, and give it a try. Plastic, air-brushed people are a dime a dozen, be you as only you can be! My previous post discussed the power of words to wound or to heal. Friends, kind words benefit both the hearer and the one who speaks. Before words are spoken, they're thoughts. A favorite Bible verse tell us to "take every thought captive (2 Corinthians 10:5)." Depending on the situation, we can be joyless curmudgeons, or we can squeeze past difficulties and find the good in the dark, dark circumstance. I know that's easier said than done, but is possible. We've all been around those who tarnish the mood of everyone in the room with their negative, hurtful words and careless comments. I truly believe the words folks like that say tell us more about themselves than they do their targets. It must be awfully dark in their little world. I used to have a negative, judgmental person in my life. I'm sorry to say that her attitude affected me. It caused me to see life though the lens of her POV. I eventually made a decision to be kinder in my thoughts toward others, and it revolutionized the words I chose to share in the world. It made me feel lighter and more in control of my environment. I became more relaxed in my own skin. The thoughts we cultivate are choices we make. You can look at people and situations from a negative POV (I don't suggest that), or you can assume the best. You can reign in your thoughts and spin them to be more kind toward others and yourself. It takes a while, but you can change the way you think and ultimately the way you respond to the world. And if you do that, it will change the way the world responds to you! 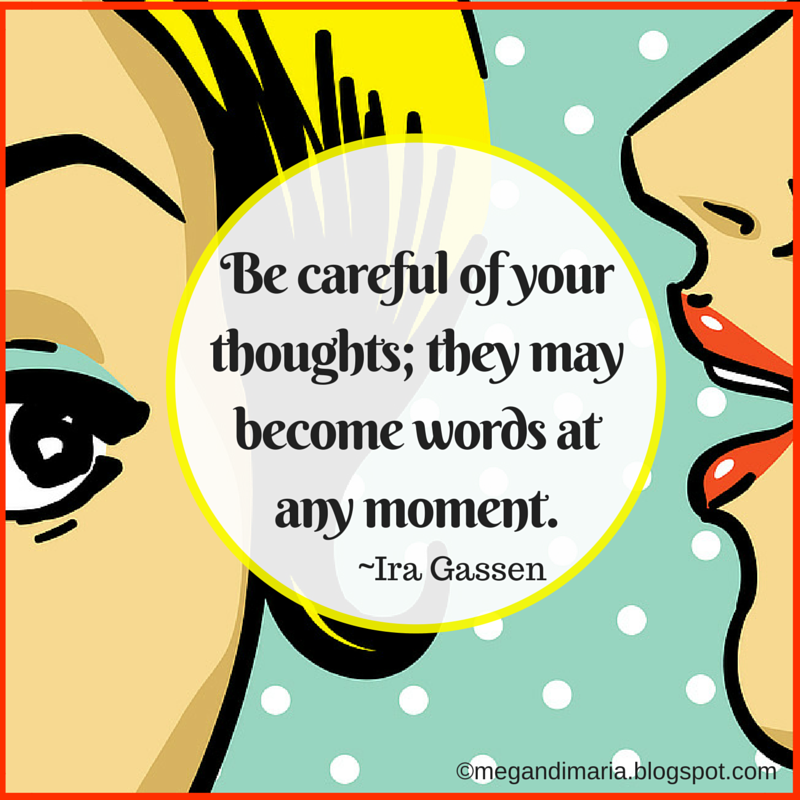 Too often we forget about that when we're deep in conversation or making an off-handed comment. Words can be a blessing, but they can also be a curse. Or at least they can cause pain. Create misunderstanding. Break a heart. Ruin a relationship. 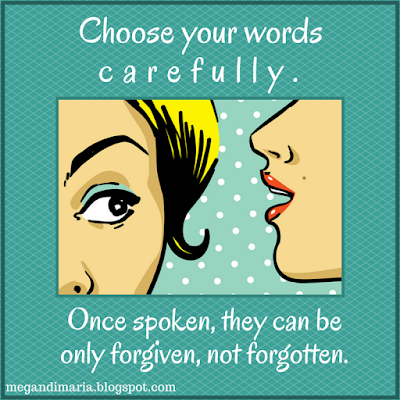 I've regretted careless words that have hurt others, and I remember careless words tossed my way decades ago. Once hurtful words land in your heart, they're not easily discarded. Sure, you can move forward. You can be brave and pretend that you're not hurt. But words do hurt us. I've been thinking a lot lately about being the best I can be--in all areas of life. I've decided one of the best things to do is to be mindful of the words I use, and to be mindful of only dishing out kind words, encouraging words, and to bite back words that could cause someone to stumble or be hurt. Here's something I learned as a child: the first rule of etiquette is to never make someone else uncomfortable. If we think about that, we might press our lips together before we say the wrong thing. Don't return insult for insult. It makes you the small person. The temporary pleasure you might get from tossing a barbed comment will pale when you realize the poison of coarse words hurts the speaker as much as the recipient. You don't have to agree with someone to treat them kindly. A kind word costs you nothing, but can mean the world to someone else. Kind word have the power to create a force for good in someone's life. When I was a child I was struggling with a task, ready to give up. My sweet Auntie saw me and took a moment to praise me for my patience. I've tried to live up to those words ever since. Kind words spoken to others reflect well on the speaker. An encouraging word can propel someone toward success. A gentle word can soothe a wounded spirit. Speak kindly when you get the opportunity; an unspoken kindness can be a regret forever. A gently spoken truth at a difficult time can be the kindness someone needs to hear. Bless others with your words, you may never know what a well-crafted sentiment can mean to someone. Wise words from a wise, Godly woman. It's all or nothing, this trusting-God thing. Either you commit or you skirt the issue and flirt with religion, which will not serve you well, in my humble opinion. I made a commitment to the Lord in 1978, and I was--and still am--all in! I couldn't imagine life any other way. It's a grand adventure where I simply must follow His lead, act upon the nudging of His spirit, and trust, trust, trust. I hope you've made a similar commitment, friend. It make life that much richer, and then in the end, you get heaven too! Clean your house or . 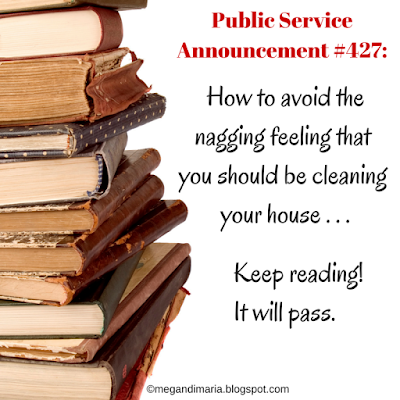 . .
Are you keeping your house in pristine condition, or are you enjoying a good book? Creative types seem to push themselves to do more, more, more. I know. I've done that. Unfortunately, the results of my efforts were not up to my usual standards. So, if your novel writing takes a bit longer than other authors', then that's just the way it is. Be more concerned with outcome over process. I recently ran across an article that I found quite encouraging, The Daily Word Counts of 39 Famous Authors. Turns out I'm pretty normal. I write more than some famous authors and less than others. Personally, I've been a lot happier when I don't push myself to create goals that my writer friends have for themselves. I've stepped off that treadmill of comparing myself to others, and I'm a better person for it. Still, it's important to set a schedule. You need to find time to churn out words. One of my tricks when I seem to be slowing down is to set a timer for 15 minutes with the goal of writing 500 words. I've always met that goal. I've come to a time in my life when I'm more deliberate and thoughtful of my efforts. Setting realistic goals is just one area that I work on. Keep moving forward, friends. Slow and steady still finishes the race. 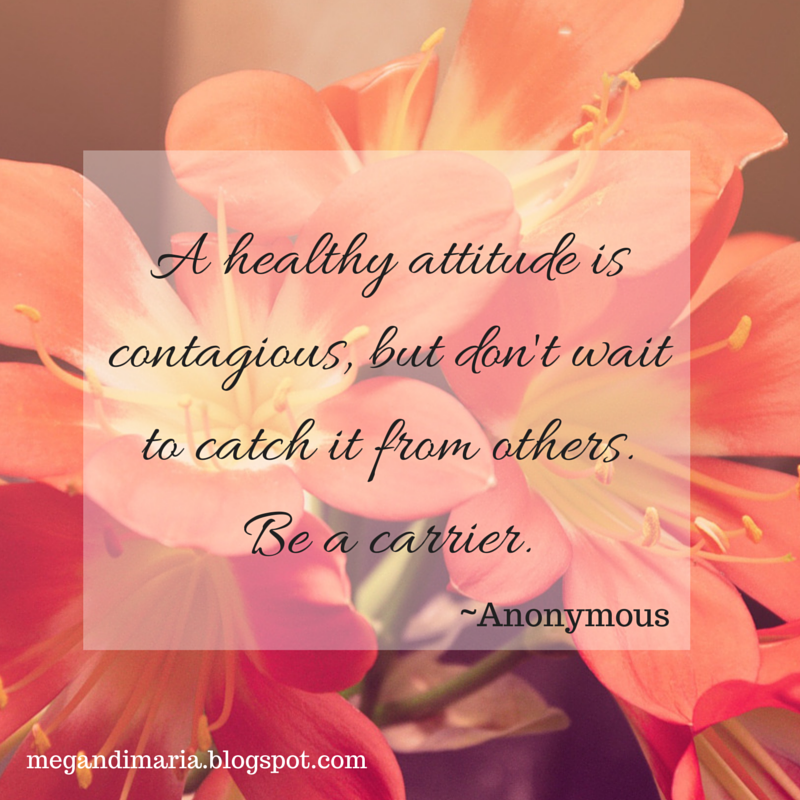 A healthy attitude . . . 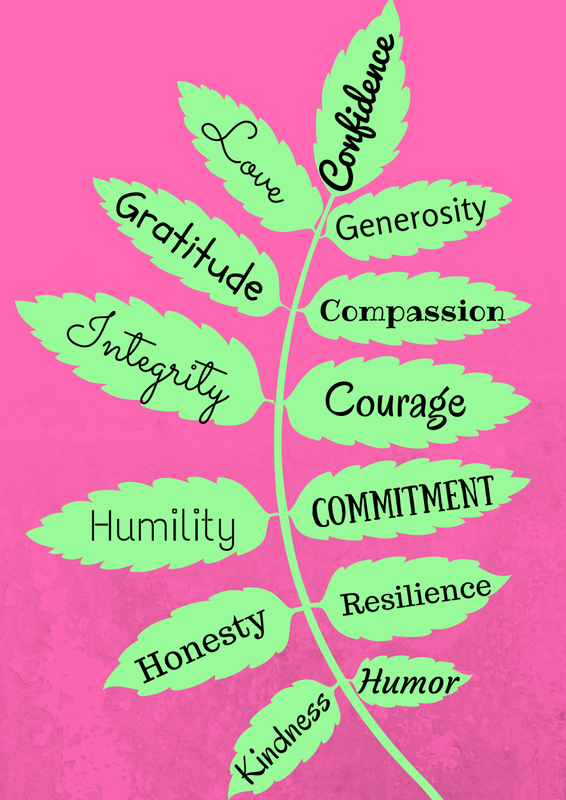 Character traits that cause admiration! Excuse me while I get a little introspective. I’ve been counting my blessings lately, and most of them all of them are people, not things. 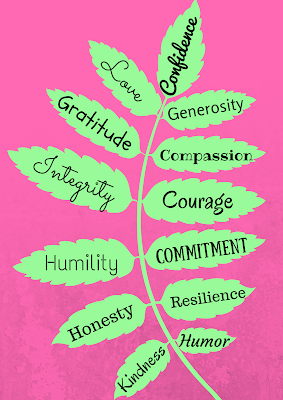 No surprise there, but what I truly value about those who are a close to me are the attributes of their characters. As I thought about my loved ones and friends, I compiled a list of what I admire most about them. My little exercise nearly brought me to tears. I’m so blessed to have remarkable people in my life. Interested in having Megan speak at your event? Check out her speaking brochure. 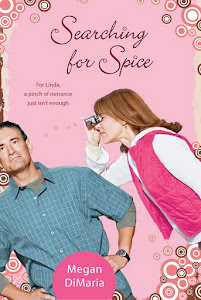 *Like* my reader's club page on Facebook, and join the discussion. Do We Prefer Perfection Over Grace?